The city of Cleveland is holding a series of charrettes, “Reimagining the Heart of Cleveland”, to gain input from a wide variety of stakeholders and residents about downtown Cleveland. The sessions are open those interested, as space permits. If you are interested in participating, please contact Greg Thomas at (423) 479-1913 or email gthomas@clevelandtn. gov. •	Tuesday, August 7th 1:00 p.m. – 5:00 p.m.
•	Wednesday, August 8th 9:00 a.m. – 5:00 p.m.
•	Thursday, August 9th 9:00 a.m. – 4:00 p.m.
Each session is 1.5 hours and attending multiple sessions is not required or expected. 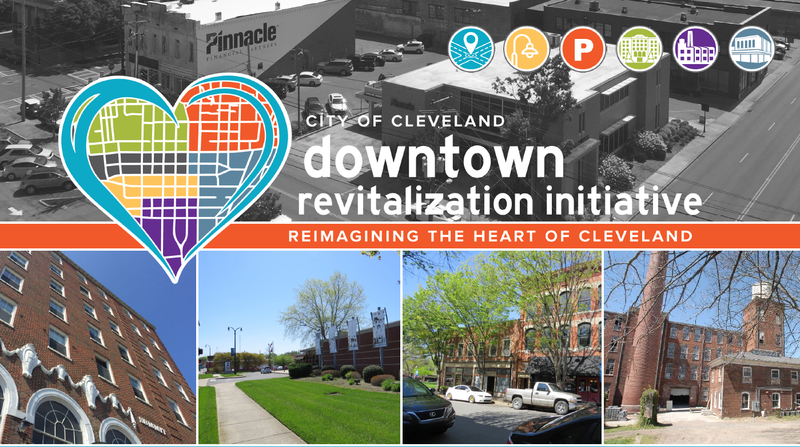 A public reception will be held on Thursday August 9th from 5:00 p.m. – 6:00 p.m. followed by a public meeting from 6:00 p.m. – 7:30 p.m. where the community’s vision for downtown Cleveland will be shared.